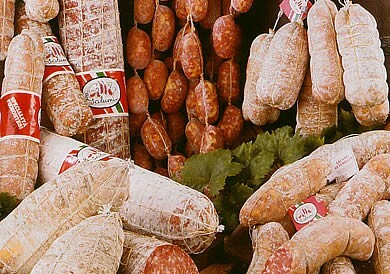 Pancette, finely ground salami, medium ground salami, soft salami... all highest-quality products. Thanks to our love of tradition and good food, we kept and still use classic and delicious recipes from the past. 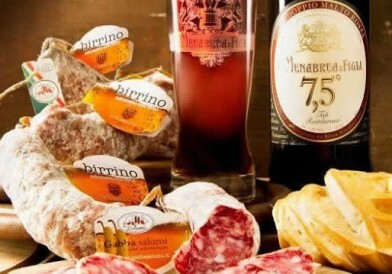 Exclusive product line from the area of Biella. These are typical products with unique and unmatched flavours. 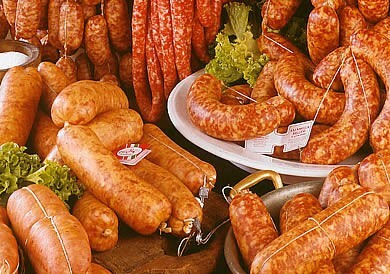 Traditional medium ground salami seasoned with garlic. This is a product from north-eastern Italy. 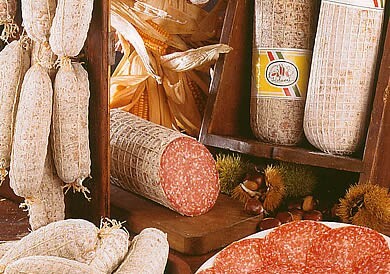 Finely ground product provided in various sizes and made according to Italian tradition. 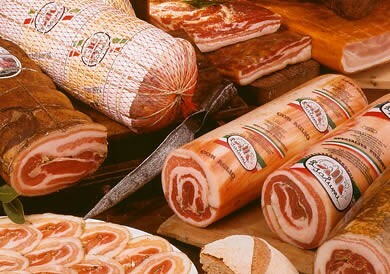 A delicious product of Italian tradition, it is produced using pork underbelly treated according to old recipes. 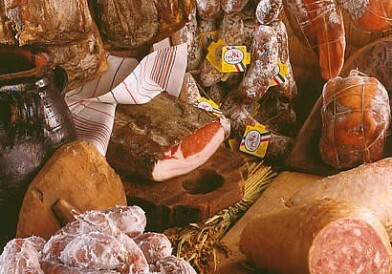 Typical Italian product made from cured pork fat treated according to old Piemontese recipes. It is seasoned with herbs and wine. The Right Balance between Technology & Tradition. Gabba Salumi began its activity over 50 years ago as a commercial firm and it has developed and expanded becoming an industrial business. Gabba continues a tradition made of constant and professional commitment in the manufacturing and transformation of pork meats coming exclusively from national farming. Thanks to the competence acquired during long years of work and to our love of tradition and good food, today we can provide high quality and natural typical products made in a modern plant equipped with high-tech manufacturing and maturing systems and in the respect of the health regulations in force. 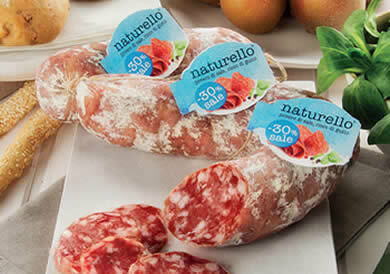 We bring the old Biellese gastronomic tradition into the future by promoting correct and eco-friendly consumption of meat and redefining the effects of production on our environment. The typical products of our area are an expression of social and cultural features and it is important that during the preparation process they maintain their own organoleptic basic characters: Scent, Taste, Quality. Our utmost care in each phase of production and deep knowledge of gastronomic traditions allow us to bridge the gap between old and young generations of connoisseurs and to make the specialities of our area known. 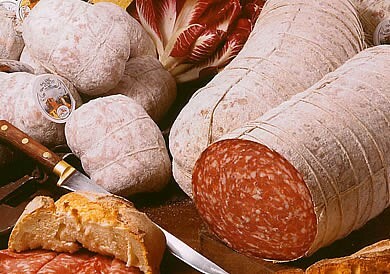 Quality and authenticity: GABBA SALUMI is currently among the most authentic interpreters of the charcuterie tradition in Piemonte. We offer a chance to try the taste and flavour of very sophisticated food.